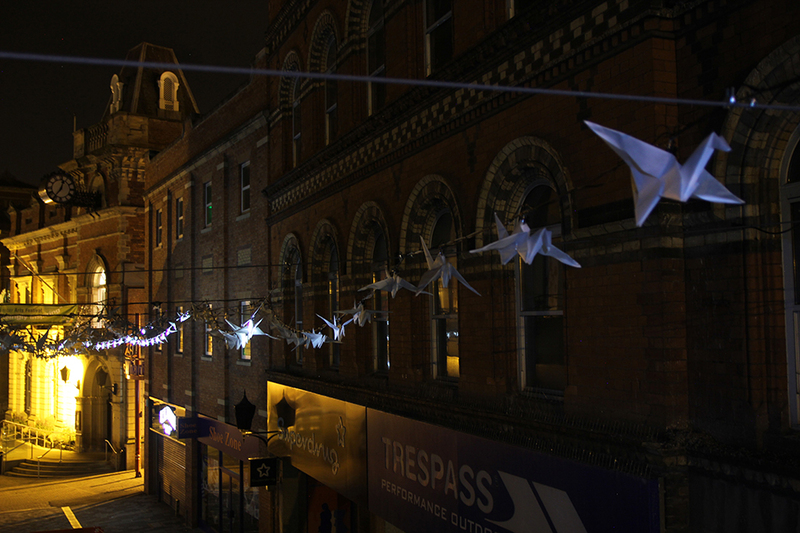 I have just returned from Kidderminster Arts Festival, installing Luminous Birds – a new temporary light piece created for Vicar Street, Kidderminster. 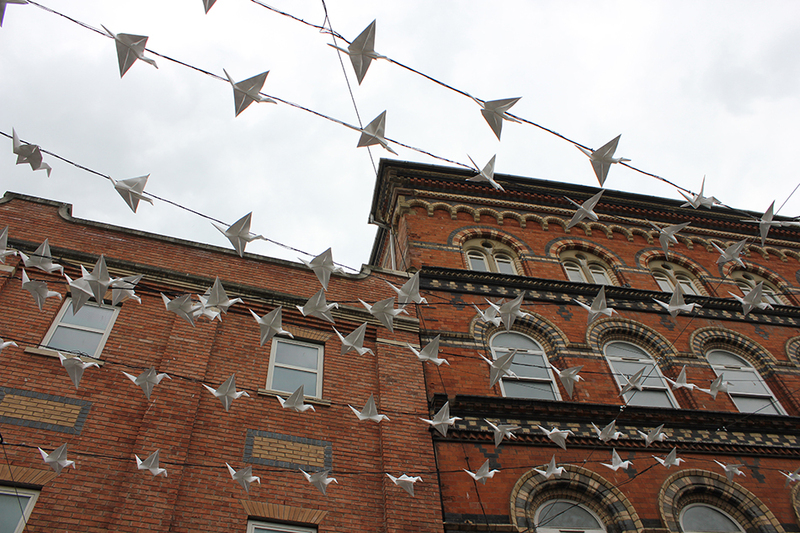 This piece was in response to learning about the transformations the town is currently undergoing. New town planning involves changes that will reveal the river and bring more of the natural environment into the foreground within the town centre design. 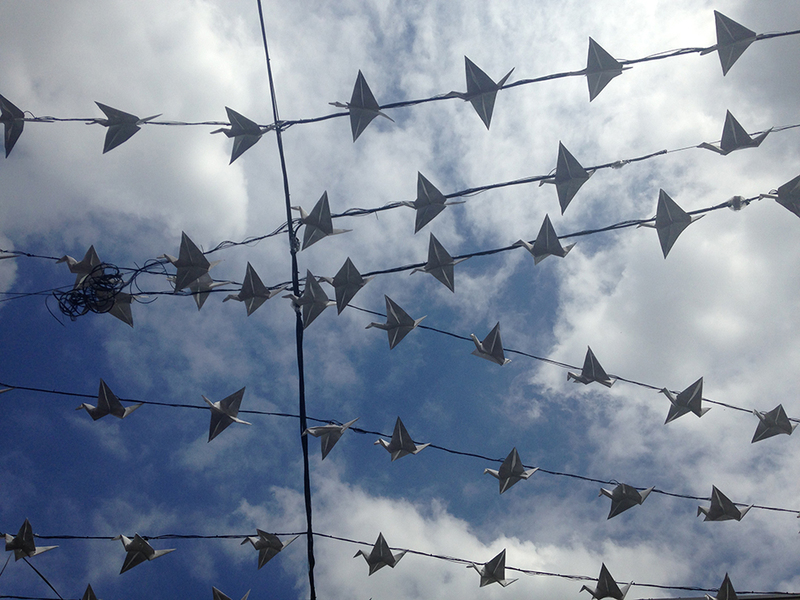 I decided to suspend a flock of origami birds with LED lighting overhead. As night falls the lighting creates the effect of birds flying along the street. 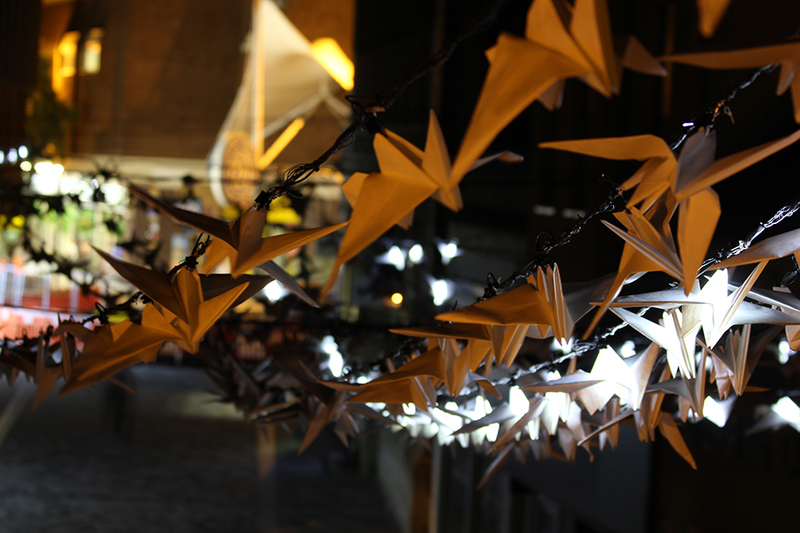 The birds are arranged in rows, and each bird has its wings positioned at the next stage of flight within the row – aiming to create the impression of stop motion animation, using individually illuminated, hand folded paper birds. 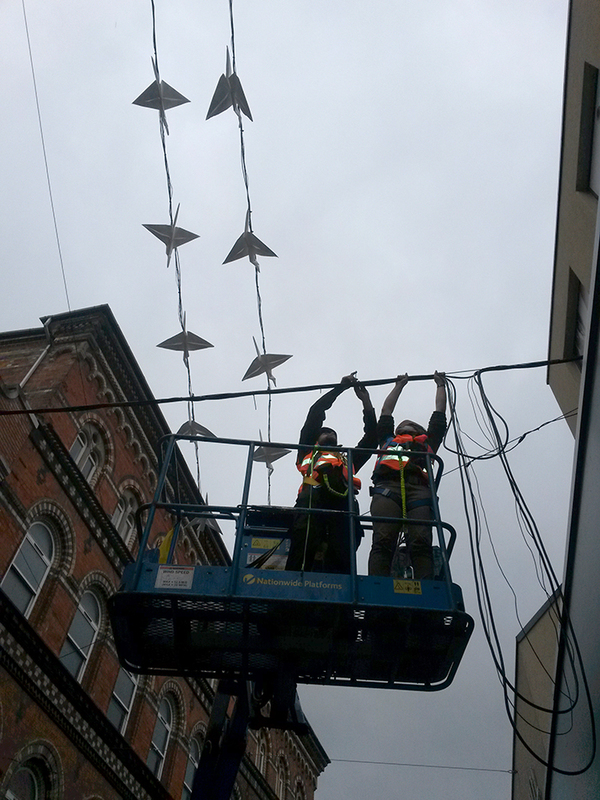 Here is a video showing them, followed by some pictures in the night and daytime, plus some of the installation process. 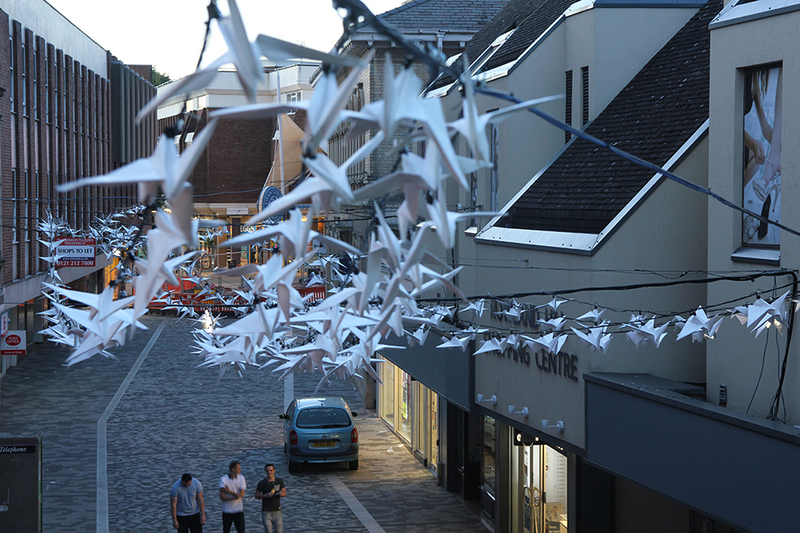 Concept, Design and Fabrication by Kathy Hinde, Software by Matthew Olden, Bespoke electronics by Graham Calvert, Rigging by Ali Jones and Kathy Hinde, Production Advice from Tim Hand. 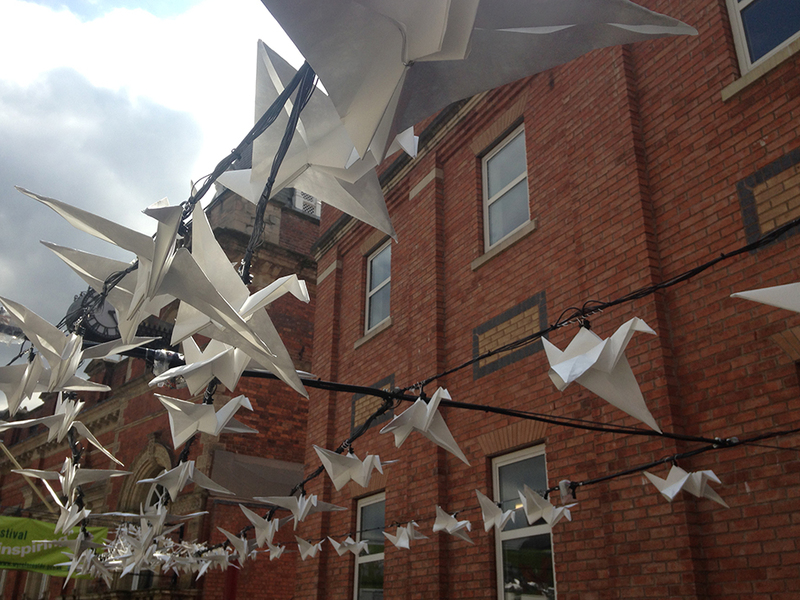 Commissioned by Kidderminster Arts Festival 2015 with funds from Arts Council England. 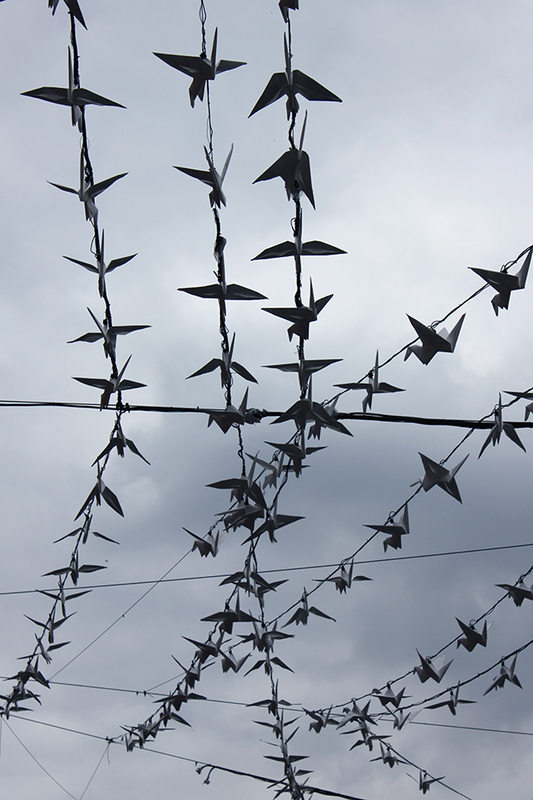 27 August, 2015 | Filed under News and tagged with birds, installation, light, origami, site-specific.